Make your games, films and even day-to-day work look even more epic with the Acer XR382CQK Quad HD 37.5" Curved LED Monitor. The ultra-wide Quad HD resolution is a whopping 3440 x 1440p, making it easier to view all your favourite content in stunning quality. 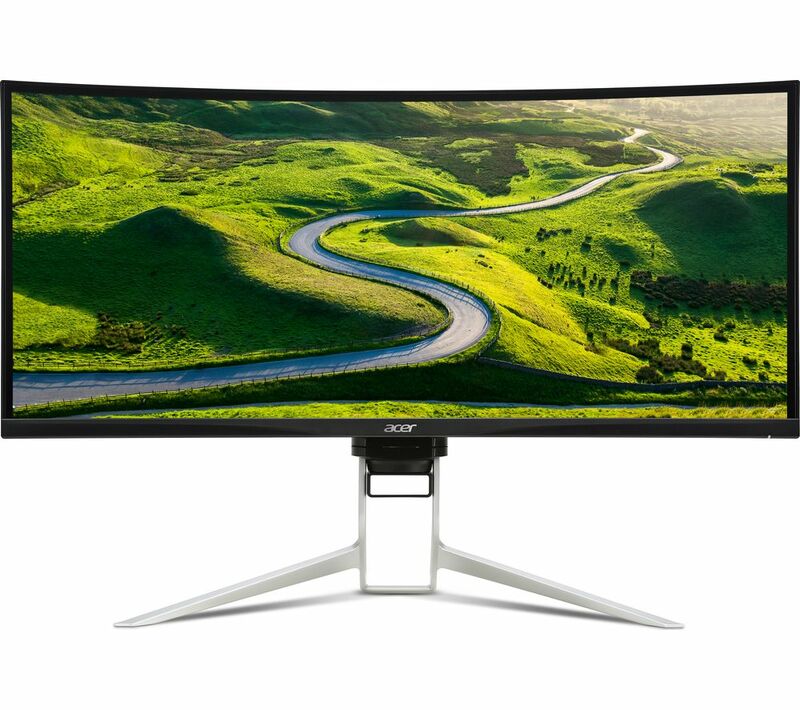 It also has a ZeroFrame design to give you maximum viewing area - perfect if you want to add multiple monitors and hate the thought of thick bezels separating the screens. Whether you're playing the latest first-person shooter, cosying up to a classic blockbuster or editing your pile of photos, with 100% SRGB coverage you will get high colour accuracy to make everything seem more life-like. Ideal if you really want to catch the realism when you're in an intense gaming mode. The ergonomic viewing angles make it so much easier to get comfortable. The stand can be titled and the height can be adjusted, so you can find the angle that works best for you. A comfortable angle means you can game for longer. With multiple ports you'll be able to plug in several devices to switch between, and have easy access to your gaming headset or external speakers with the USB ports. 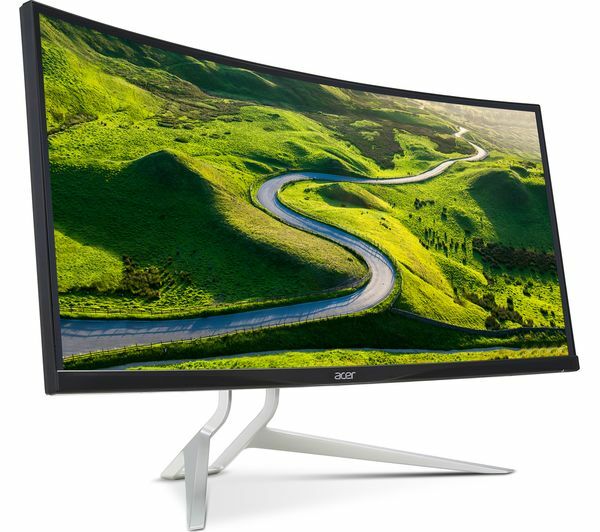 Don't worry if you don't have external speakers though, because the Acer Curved LED Monitor already has some built in.